The Times choose Bobbie as the number one boxset of the year! The Great reviews for ‘The Girl From Chickasaw County’ boxset continue! 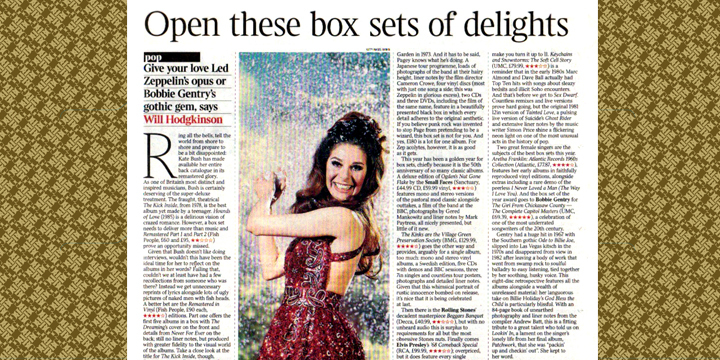 The Sun: 4 1/2 / 5 ‘This sumptuous, beautifully curated box set rounds up all of her releases. A hidden treasure’. 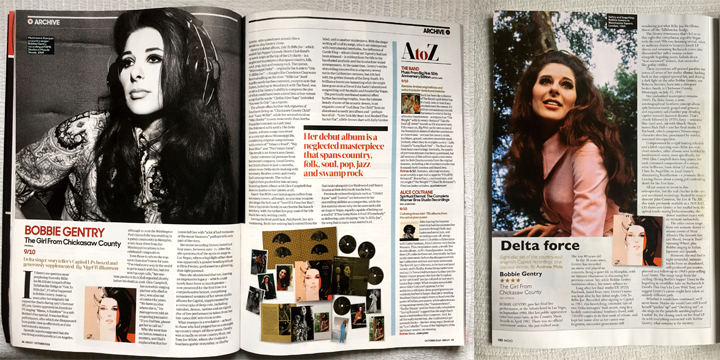 Daily Mirror: 4/5 ‘This long overdue expansive eight-disc set shows her legacy is so much more than ‘Ode To Billie Joe’. 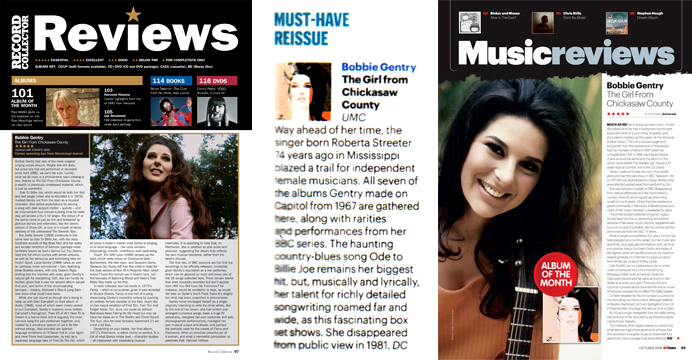 The Arts Desk: Re-issue of the week ‘The Girl From Chickasaw County amply makes it clear that Gentry is a significant artist and this essential box set renders Bobbie Gentry more fascinating than ever’. Shindig! : 5/5, ‘The box would be a formidable collection in it’s own right, but the rare and unreleased material make it unmissable – a stunning feat of excavation from compiler Andrew Batt’. The first boxset reviews are in! The first reviews are in for The Girl From Chickasaw County box set.